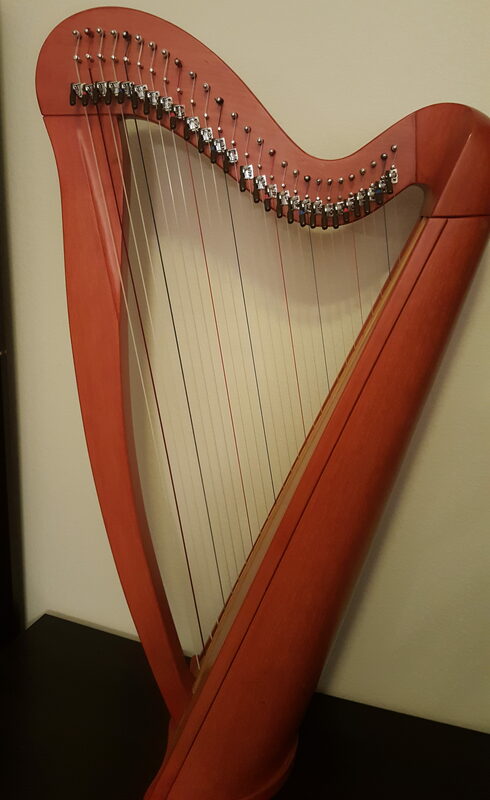 For rent small 27 string lever harp with full levers, perfect for beginners. Includes tuning key, spare strings, carrying case, and 4 legs that raise the harp up easily to a good playing height. $50/month with a minimum rental of 3 months, then month to month. Refundable security deposit of $100. I use electronic payment on autopay so you never have to worry about mailing a check. I take care of replacement strings if one breaks while you are renting it.